Pure Oats combined with sunshine fruits (Californian raisins, apricots) & sunflower seeds for a hot nutritiously wholesome breakfast that's made in minutes and a great start to any day. 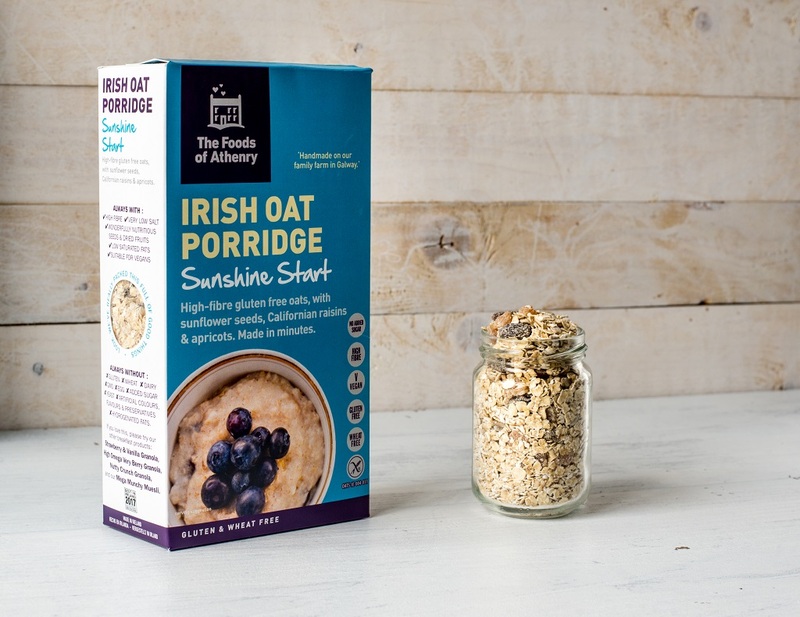 Pure Irish Porridge Oats combined with delicous raisons, apricots & sunflower seeds for a hot nutritiously wholesome breakfast that's made in minutes and a great start to any day. Ingredients Certified Gluten Free Oats, Fruits 20% (Raisins, Apricots), Sunflower Seeds 6%.